On Thursday, in the first leg, Santos won a high scoring battle 3-2 on an own goal by Monterrey's Duilio Davino. Right back Jorge Estrada opened the scoring for Santos in the 23rd minute when he made a run from defense and no one picked him up. Monterrey's Chilean forward Humberto Suazo equalized on an assist by Aldo de Nigris, but then Colombian forward Carlos Quintero regained the lead for Santos on a header from a Jorge Estrada cross. Aldo de Nigris of Monterrey beat his defender and took a shot on goal that Santos goalkeeper Oswaldo Sanchez deflected into the path of Neri Cardozo of Argentina, who tied the score at 2-2. Santos wanted to win at home, so they replaced Man of the Match Jorge Estrada with Jose Cardenas, who delivered a cross in the 77th minute that Duilio Davino accidentally deflected into his own net to give Santos a 3-2 win at Torreon. Tonight, Monterrey needed only a one-goal win at home to take the title on the away goals rule. A tie would give the championship to Santos Laguna. Monterrey's Chilean superstar Humberto Suazo was on fire. He struck a crossbar, forced a save from Oswaldo Sanchez, and then stole the ball from Sanchez on a goal kick and rudely kicked it into the net just to intimidate Sanchez, all in the first five minutes. However, a defensive lapse nearly cost Monterrey an early deficit, as Santos forward Carlos Quintero of Colombia stole an errant back pass but inexplicably shot the ball wide of the target. The next defensive lapse was by Santos Laguna, who forgot to mark Monterrey forward Aldo de Nigris, who "Brian Ching-ed" a wide open header over the crossbar despite being completely unpressured. Sanchez screamed at his defense, but they were not at fault on the first goal. 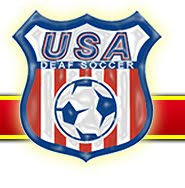 In the 29th minute, Humberto Suazo received the ball in midfield and played a give-and-go with de Nigris, who returned the ball to a streaking Suazo right down the middle. 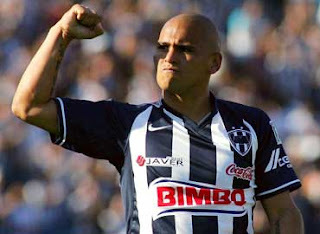 Suazo blasted the ball into the net for the goal that would win the title for Monterrey. Los Rayados led 1-0 at halftime.